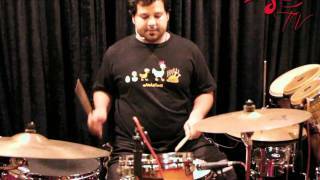 Gino has been fooling around with the drums since he was 8 years old and took it up seriously at the age of 15. 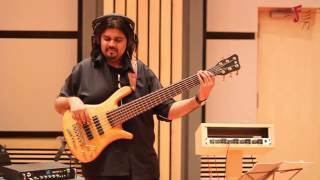 He is the son of Louiz Banks, India's legendary jazz pianist and composer, and started touring abroad with his father's indo-jazz fusion band SANGAM when he was just 9 years old. Gino is a versatile player, this trait leads him to performing and recording with artists and bands of all types of genres. Gino also had the honor of playing a few tracks on the "Miles From India" album produced by Bob Belden, nominated for a 2009 Grammy in the Contemporary Jazz Category with Times Square Records, NYC; a fusion of Great Indian Classical Musicians and Miles Davis Alumni Musicians. Rock bands like Helga's Fun Castle, Gary Lawyer, Skinny Alley, Joe Alvares and Zero. He has also performed with international musicians like Mike Stern, Guthrie Govan, Tony Lakatos, George Brooks, The Maske Trio, Leni Stern, Jay Oliver, Angela Hagenbach, Jonas Desai and Carl Clements. As well as with Dance Troupes like Pt. Birju Maharaj's Kathak Group, Aditi Bhagwat and Terence Lewis Contemporary Dance Company and many more.